I had an unexpected visitor today on my run … sharp, cool wind. We did not make friends. I found it very difficult to catch my breath, and regulating my breathing while running was pretty much out of the question. But I finished my 3 miles and as always I felt better for having done it. Upon my return home from our run, I found another unexpected guest at my door. A beautiful soul who lights me up every time I see her. She was much more welcome than the cold wind, and instead, an instant friend. Has anyone else noticed how it’s hard to make friends when you are an adult? 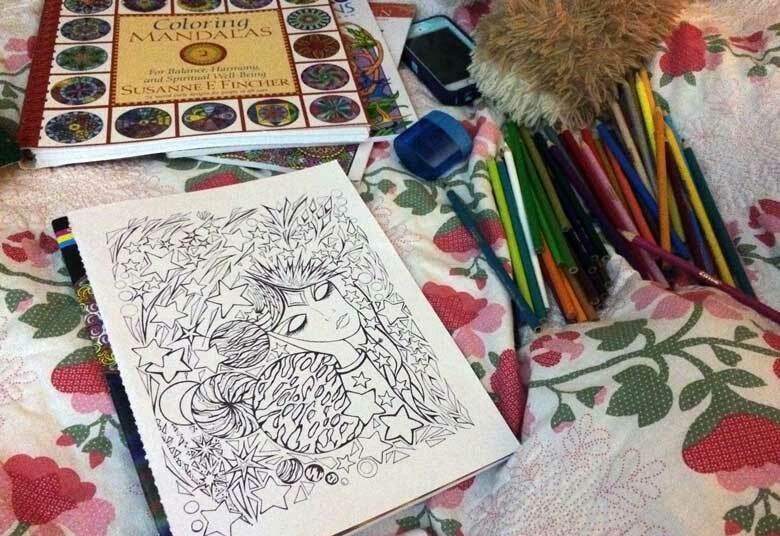 After dinner with her and my Love, we enjoyed the rest of the evening in pjs, snuggled up, eating cupcakes, drinking wine, and coloring … yes my gentle readers … coloring. And in the glow of the lamp with my sweetest Love on one said and my dear friend on the other, I had never felt more complete with a color pencil in my hand. Sometimes the simplest connections are the hardest to come by … I urge you to connect with someone today … I dare say you will smile … genuinely, whole-heartedly … and it feels good.